Train with experienced, dedicated teaching professionals & competitive players! 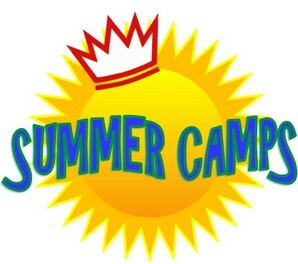 to register for camp and​ other programs. Full payment required at checkout. *Weeks 1 & 6 are 4 day weeks due to holidays. Pricing has been adjusted accordingly. Week 1 (5/28-5/31): Meets Tuesday - Friday. Week 6 (7/1-7/5): Meets Mon., Tues., Wed., & Fri. No Camp on 7/4. We will specialize in Lacrosse development and basics. ​Shot accuracy, velocity, stick skills, wall skills, movement, and I.Q. ​Camp is co-ed and all levels welcome! ​Offered weeks 4, 5, 7, 8, 9, 10, 11, and 12. We will train INDOORS so tennis shoes ONLY! We offer an air conditioned Indoor Tennis Camp designed for players of all ages and levels. Players will be grouped by age and skill level. Week 6 (7/1-7/5): Meets Mon., Tues., Wed., & Fri.
​ No Camp on 7/4. - Camp Weeks run Monday through Friday. - Full payment is due before the start of each camp. - Registrations are accepted on a “first come, first serve” basis, until camp is full. - Payments are non-refundable & non-transferable. days before the start of your camp week. - Full day campers should bring a sack lunch daily. ​ full day camper prior to attending camp.